The university denounced the statements, but some students want the school to take more aggressive steps to deal with racism on campus. 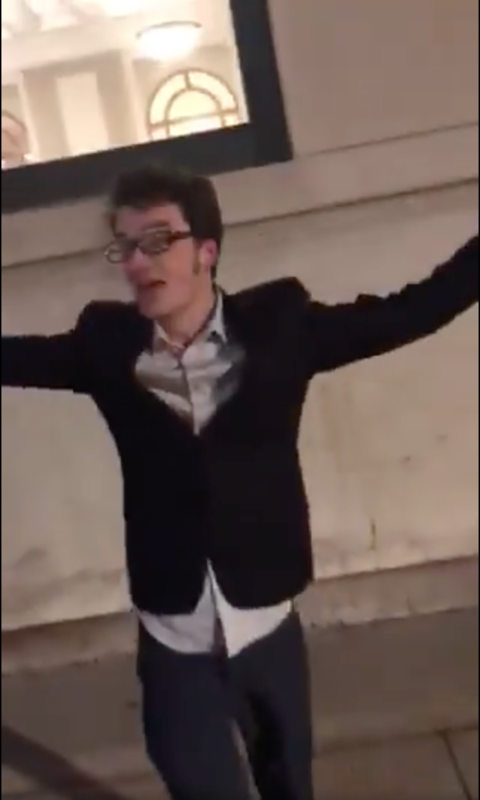 A white Columbia University student was recorded ranting about the superiority of his race and harassing a group of fellow students, a number of whom are black, in a video that has now gone viral and sparked a heated debate about the school's response to racism on campus. The video was posted on Twitter early Sunday morning, and it's been watched more than 1.7 million times. It's also prompted debates online and on Columbia's campus about racial bias and harassment, with some students saying the video is a sign of bigger issues at the school. 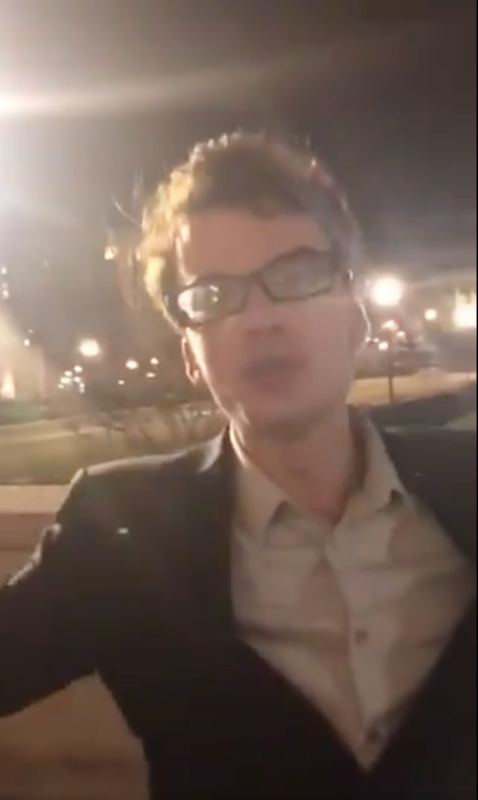 The footage shows the white student — identified by the Columbia Spectator as sophomore Julian von Abele — in a racist screaming fit outside Butler Library and JJ's Place, a dining hall. Von Abele didn't immediately respond to an email from BuzzFeed News. "We built the modern world," the student says in the video. "We invented science and industry." He first joined a group of about 10 others walking to the dining hall in the early hours of Sunday, Columbia freshman Kwolanne Felix, who witnessed the incident, told BuzzFeed News. She said she and her friends didn't know him, and that he seemed to be talking normally at first. Then he grabbed a woman in the group, who pulled away from him, Felix said. "He got very angry, he cursed at her," she said. "He kind of erupted." He then started praising President Donald Trump and shouting about white people, she said. After about five minutes, Felix said, she and others went into the dining hall. But he eventually followed, standing in the middle of the dining hall and continuing his rant, she said. "Everyone was uncomfortable," she said. "The staff is definitely mostly people of color." In the video, the student can be seen jumping and screaming, "I don't hate other people; I just love white men!" Felix eventually went home. And within hours, the video started to spread online. 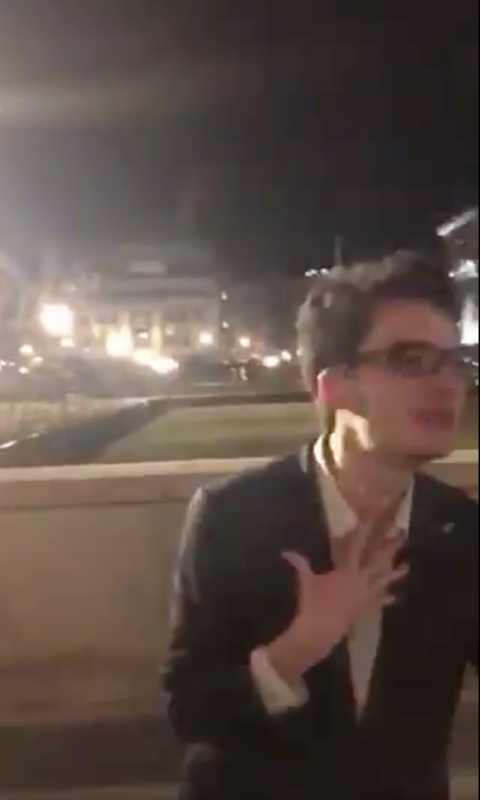 The student who initially posted the video to Twitter called the incident a reflection of Columbia's "core curriculum," a set of required undergraduate courses that has been criticized as Eurocentric, promoting an inflexible canon dominated by dead white men. By Monday, university officials responded in a statement, calling the video "racially charged," alarming, and painful. Emphasizing Columbia's commitment to fostering an inclusive community, school officials also called a meeting for "open reflection" Monday evening and said they'd create a new working group for bias incidents. "Statements of white racial superiority conflict with the University’s core value of inclusivity as well as the educational work and research that take place on our campuses," Columbia's head of student life, Suzanne B. Goldberg, said in the statement. "Comments of this sort cut against core values of our community, even when they are within someone’s rights to express," Goldberg said. In another message sent to students Monday, Columbia's undergraduate deans said the incident was under investigation. "We are alarmed at the rise of incidents of racism and hate speech in our world today. It is more important than ever that we continually demonstrate our core values and restate our commitment to a diverse, inclusive community on campus," they said. "At Columbia, we stand firmly against white supremacist language and violence." In a Facebook post sharing the video, the Columbia University Black Students' Organization said students who contacted campus public safety about the harassment early Sunday received no assistance at the time of the incident. "When public safety was contacted they did nothing to protect these students," a friend of the students tweeted. He continued to follow and harass a number of students following this encounter. When public safety was contacted they did nothing to protect these students. Felix said Monday night that she was pleased university leaders were quick to speak up about the video, but hopes more action is taken. The student involved should face some kind of consequences for his actions, Felix said. But, she added, she believes that the school should take steps toward changing the campus culture, including better training for students and staff on how to respond to racism and discrimination. "It's so hurtful and detrimental that as well as being a place of knowledge and information, [universities are] also a place of ignorance and sometimes hate," Felix said. "So I really hope to foster a college culture, and change the college culture where universities are much more aware of these issues and are taking more decisive action. I hope Columbia can be a first step towards that."